In Ontario, electricity is produced from a number of sources. The Electricity Supply Mix, for an electricity product, is the combination of power sources used to generate the product. 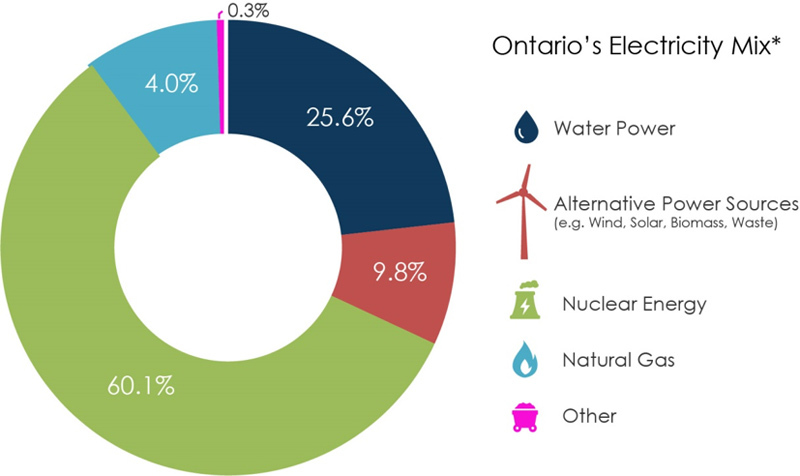 The following chart shows the combination of electricity sources used to generate the electricity consumed in Ontario in 2017.